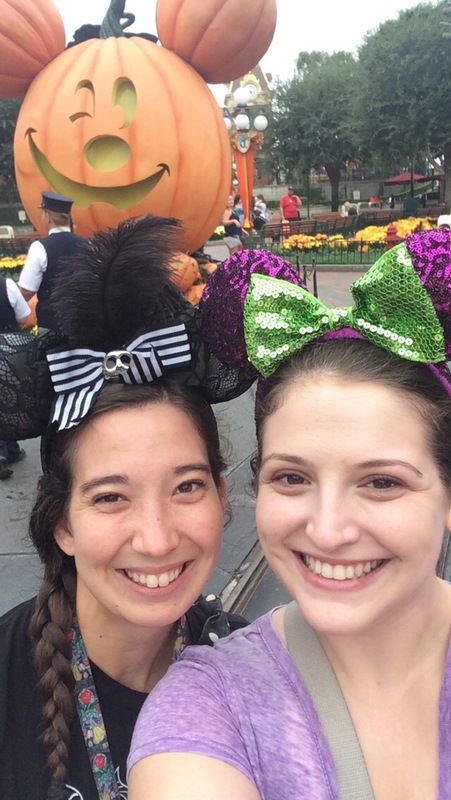 I have never been to Disneyland during the Halloween celebration, so obviously I had to go! Be warned, there is a lot of Disney detail in this post, so if that’s not what you’re into, I don’t want to bore you! After a measly 6 hours of sleep from the concert the night before, I woke up at around 6:15AM due to Disney excitement! 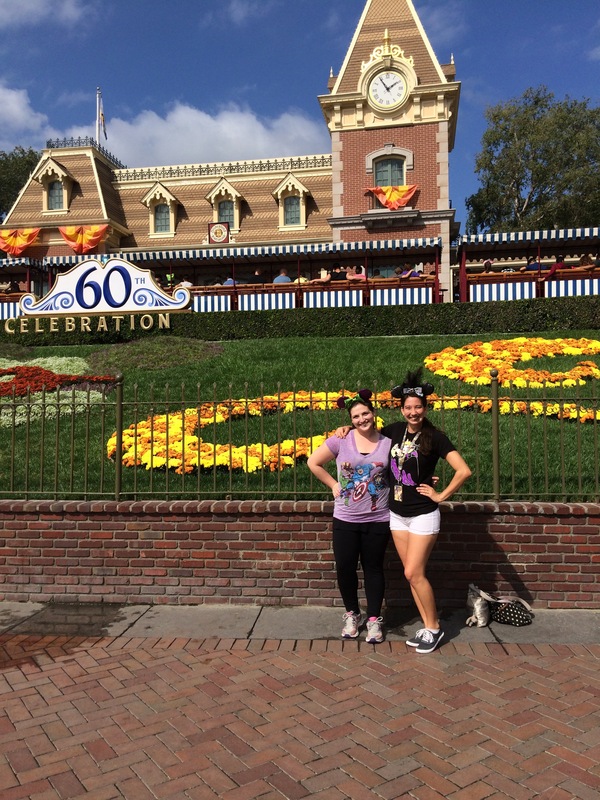 Danelle and I had been planning to have a full day at the parks! (Well, mostly full, as we’re old ladies who need sleep before going to work). I put on my purple Avengers shirt and headed over to pick Danelle up for our drive down! In love with my new purple ears! Unlike the last time we went to Disney, it only took us 45 minutes to park our car! Gotta love 7AM traffic, or lack thereof. First order of business? Get me some new Minnie ears! 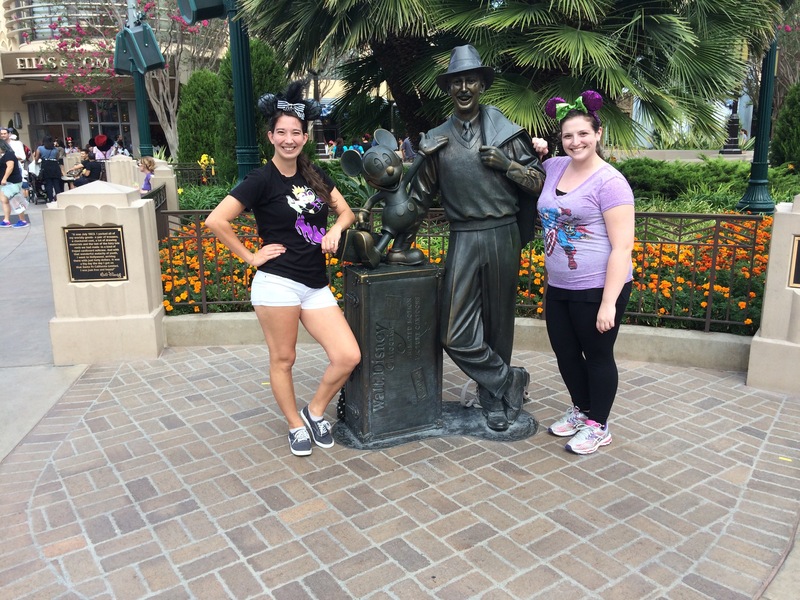 I had planned on picking up the special Diamond Anniversary ears, but then I saw the purple and green Halloween ears and they went so well with my shirt (and also I’m a major purple lover) that I just HAD to get them! I think I made the right decision. We stopped on our way in for a selfie with the giant Mickey pumpkin. Our next order of business was to grab fast passes to Ghost Galaxy, the special Halloween-themed version of Space Mountain. Since I’d never been to the park during this time of year, I’d never experienced it before. It was the only thing I felt I HAD to do today. After getting the passes, we had an hour and a half to kill before it was time to ride. We meandered around the park and stopped for various photo ops. I’m so glad that Danelle indulges in my need to take selfies. She’s a real friend. We walked over to Haunted Mansion, whose line was ridiculous due to the new ghost that they put in. We were able to get another fast pass at that time, but there was something wrong with the machine and an unfriendly cast member was unhelpful. I’m so used to such friendliness that when Danelle told me about the ordeal, I was shocked. But we weren’t going to let him ruin our otherwise magical day! Then our time came to ride Ghost Galaxy! Thank goodness for the fast pass–it was over an hour wait! Crazy! 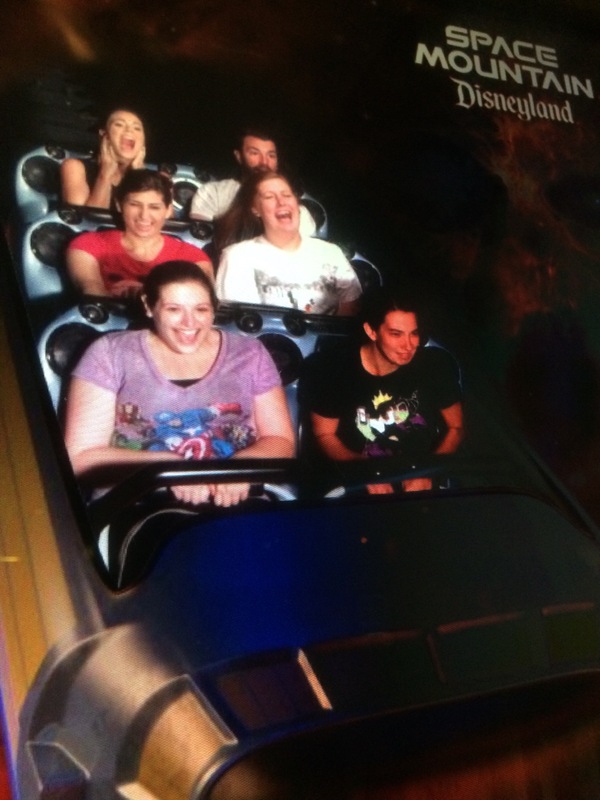 The ride was definitely much spookier than the regular Space Mountain, and they even sped up the track! But to be honest, I like the original version much better. But it was definitely cool to experience Ghost Galaxy! 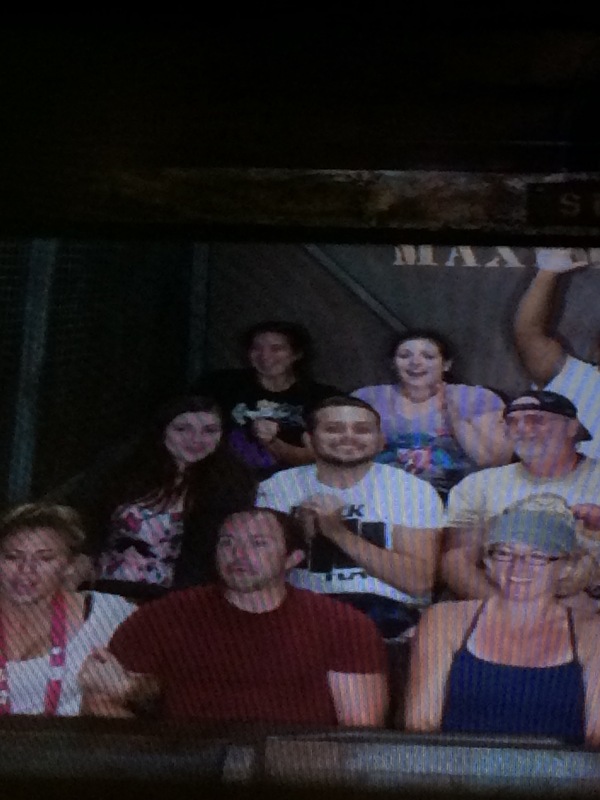 After the ride, we hopped over to California Adventure for some food and to get a fast pass for Tower of Terror! We decided upon a coffee stand that served fancy coffee and pastries. Surprisingly affordable and delicious! 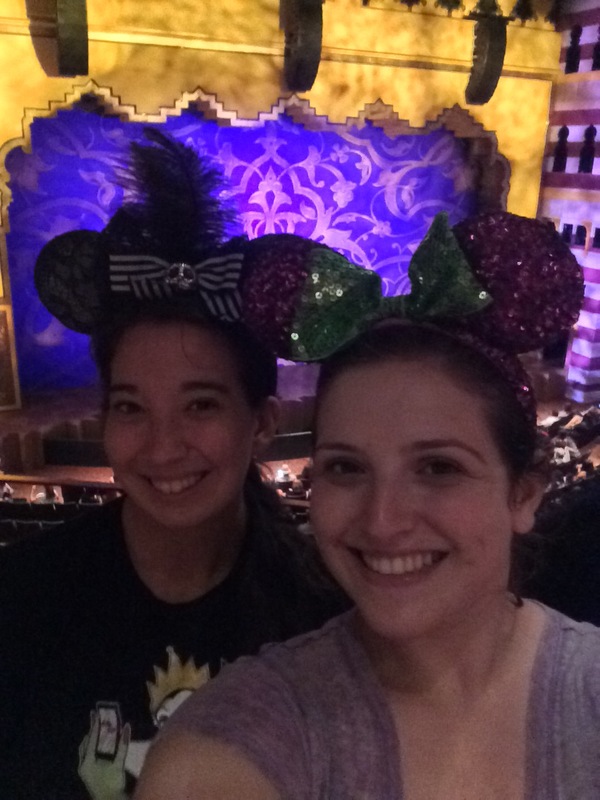 We wandered around CA and rode a few rides while killing time for 2 things: 1) the Aladdin show, which will sadly be leaving in January, and 2) our lunch reservation at Cafe Orleans! We also stopped for a classic photo op: Mickey’s Fun Wheel! 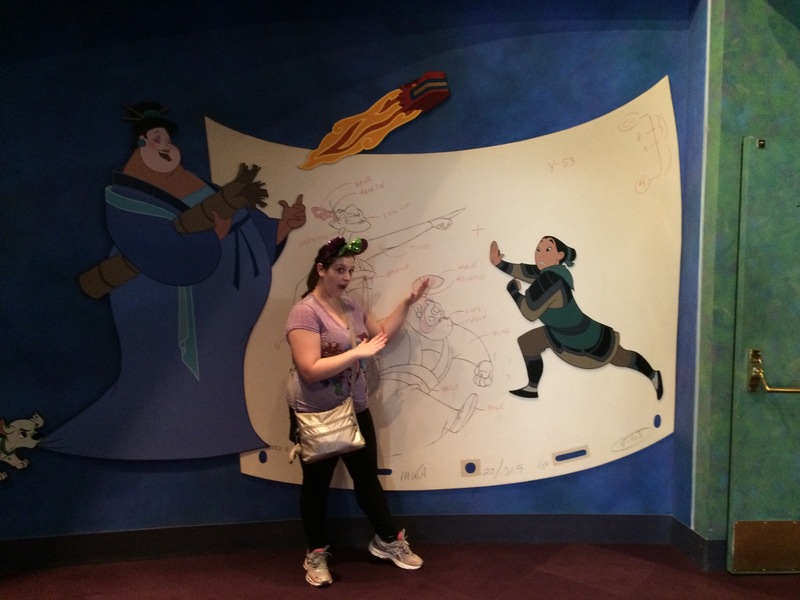 I had to take a picture with my Disney spirit character, Mulan! Then it was time to head over to watch the Aladdin show! I’m pretty sure that this show has been in California Adventure since the park opened, but I’d never seen it before. Seeing as it’s being replaced by Frozen (boo) and Aladdin is my favorite classic Disney movie, we knew we had to see it! Seeing AladdIN before it goes AladdOUT. It was hilarious and wonderful and I can’t believe they’re getting rid of it! Seriously, if you’re heading to the parks before the year is out, make sure this is on your list! The Genie was the clear star, with his sarcastic comments and relevant references. (Quote from the show: “It’s empty–just like Kim Kardashian’s head!” Gold). I’m so glad that I was able to see this before it leaves. We made sure to get a photo at the entrance to the park! We then hopped back on over to Disneyland for our lunch reservation at Cafe Orleans! We walked around the fancier shops before it was time to be seated. We’d both been excited to try their Monte Cristo sandwich, but first we ordered their Pommes Frites (fries covered in garlic and parmesan–so great!). We had to push them away so we would stop eating them. Then the sandwich was put in front of us, and I’m so sorry I didn’t get a picture for you all. We ordered the 3-cheese version, and honestly, there was too much cheese! Never thought I’d say that. We each ate a quarter of the sandwich before feeling a bit sick to our stomachs. It was delicious, but WAY too much! We both agreed just ordering the beignets would’ve been a better plan of action. Oh well, live and learn! Not sure what face I’m making here, but it’s kind of great. After our heavy meal, it was time to redeem our fast pass vouchers at Tower of Terror over in California Adventure! So we headed back, both a little uneasy about how our stomachs would hold up. Luckily (or not so luckily, depending on how you look at it), even the fast pass line was long so we had some time for our food to settle. The ride was great, as per usual! Then we agreed it was time to head home. We both had work tomorrow and needed some kind of sleep before attempting to take on the real world. Unfortunately, both of us had forgotten where we parked! I got a little frustrated with myself, but luckily a kind and handsome cast member helped us out and we were on our way! The traffic on the way home allowed us to bust out in epic Disney songs, so we didn’t mind it too much. Overall, a truly amazing day at Disneyland! Although it was crowded and a bit humid, it was full of magic and new experiences! I’m such a Disney fan, as I’m sure you’ve all realized, and there’s been a lot of crazy stuff happening in my life, so this was a really nice break from that. 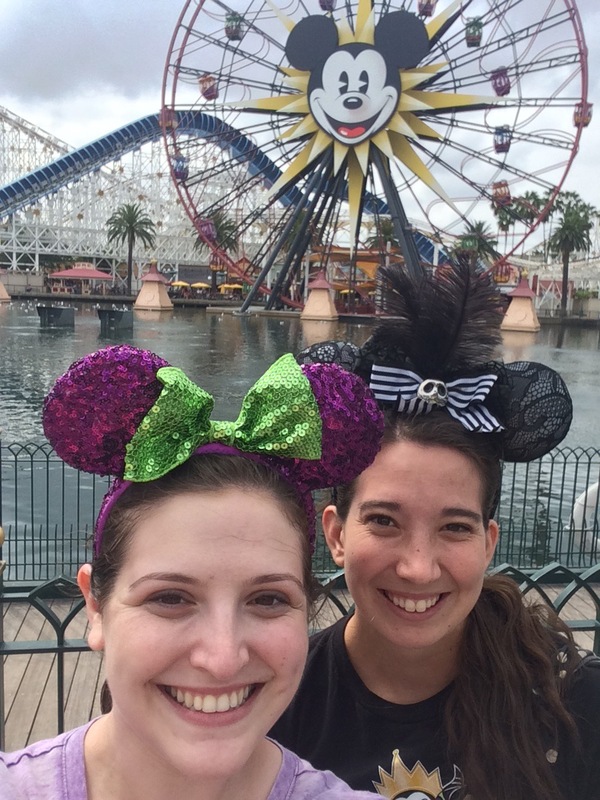 I’m sure I’ll have many more Disney days to share with you all! (Danelle and I are talking about a Disney wine tasting day, so there’s THAT to look forward to! ).